At Everlast we value the reputation we have built up over the last 20 years, a reputation for quality products that last. 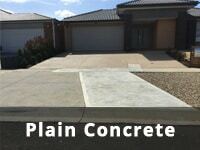 This reputation extends to all of our concrete and concreting services. We only use locally sourced, quality products so you get an affordable, finished product that is sure to leave a smile on your face for years into the future. 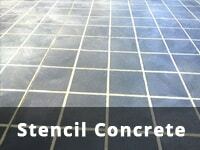 We only employ quality contractors, who are skilled in a variety of techniques and services. We take care of everything, from the excavation to the pour, to the seal and clean up – so all you have to do is pick up the phone and let us take care of the rest. 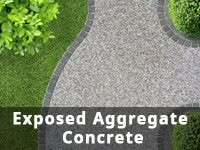 Exposed Aggregate: so you can enjoy all the benefits of regular cement, as well as add a striking aesthetic to your outdoor area or even your driveway. Exposed aggregate is the perfect finish for pool areas and driveways due to its non-slip properties. 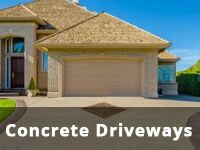 Driveways: for a durable, easy to maintain entry point to your house, and a finish that you’re sure to love. 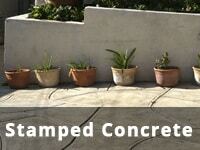 Painted Concrete: go beyond the old-school, cold, grey cement. With Everlast on the job, the possibilities are endless. We can provide a variety of colours and finishes to choose from. 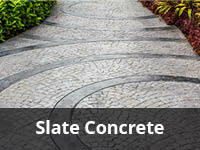 We will transform your driveway or paving into a visual spectacle that adds value to your home. Everlast Services is a completely Australian owned and operated company, with our showroom and innovative manufacturing plant located in Hoppers Crossing in the west of Melbourne. We deliver superior quality services at an exceptionally affordable price. With over 20 years experience, we really do know all there is to know about very single facet of concreting and backyard landscaping. Don’t you want the friendly team from Everlast to apply its knowledge to your next job? 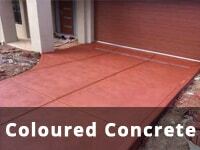 We provide a whole range of products and services, apart from just concreting. We really are the complete package when it comes to your backyard needs, from fencing supplies and services, decking and pergolas, right through to landscaping.